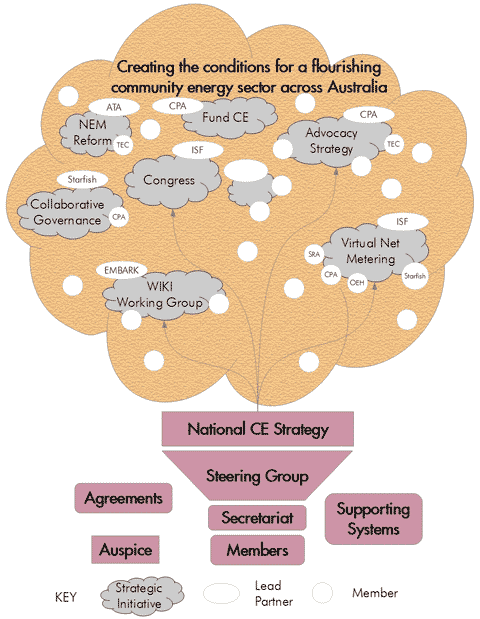 C4CE’s collaborative governance* model is defined in its Charter. The Steering Group is the body responsible for the overall performance of C4CE in fulfilling its Charter. It is in turn accountable to the Membership through reporting and the involvement of Members for key decisions. C4CE’s decision-making has been designed to reflect its core principles, with the intention of ensuring that decision-making is highly participatory, inclusive and collaborative. In practical terms, this means decisions aim to be made by consensus ~ by which is meant that decisions are achieved which all parties involved can ‘live with’ and without requiring them to compromise issues of fundamental importance. It is important to be clear that this form of consensus is not the same as unanimity. This decision-making ethos applies to the Membership, Steering Group and Strategic Initiatives. In the event that consensus cannot be reached after reasonable attempts have been made, then decisions will be made by super-majority (ie. at least 75%). C4CE’s overall governance model is visually depicted right. Full details of the C4CE governance can be found in the Charter. * Collaborative governance is at the cutting edge of governance theory and practice. C4CE uses this voluntary and unincorporated structure because it believes that the binding force of genuine mutual benefits is effective in creating real sharing of responsibility throughout the membership.